Short on space at home? You aren’t alone! 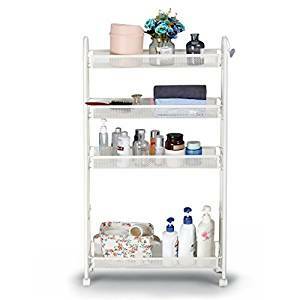 Whether you are just starting out and have a small apartment, or even if you have chosen to live in a tiny house, plenty of people find that they just don’t have enough storage for all their stuff. Even if you live a more minimal lifestyle, the reality is that you still have plenty of items that you need to have and, therefore, need to store! From clothing to pots and pans, plates, sentimental items, games, tools, and the list goes on! You more than likely have used up every last inch of existing storage at your place. Cabinets and drawers are full, your closet is barely able to close, and bookshelves may be packed full with a lot more than just books. Does that sound like you? Instead of feeling like you have to move to a larger place, consider these storage ideas that will bring new storage into your existing home. By getting creative, you’ll be surprised how much more storage you can have if you really put your mind to it! 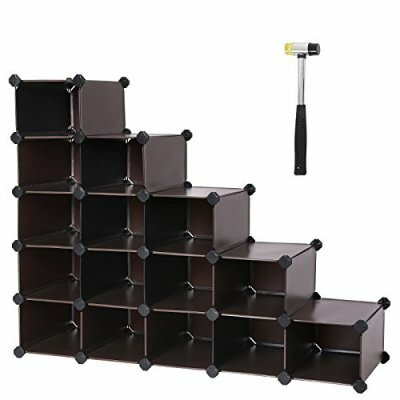 This is one of the best ways to gain a lot of additional storage. You’ve got a bed, but that space doesn’t just have to be for your mattress. 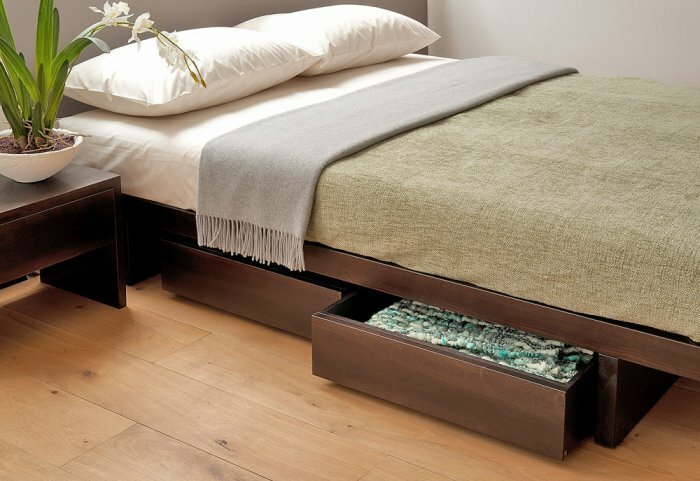 Raising up your bed allows you to place drawers or containers underneath of it. This is an excellent use of space, as the space was already being used for something, it is just now serving multiple purposes. If you live somewhere cold, you likely have a large collection of winter clothing and items. Come the summer months, you can easily take all your winter items and store them under the bed, that way they are out of the way and free up closet or drawer space for summer items! If you have your clothing sorted, you can also use under bed storage for storing other items that you don’t frequently use. No matter what you choose to put here, it is a great use of space. If you have more than one bedroom, make sure you make use of the space under all other beds you have as well! Look next to your refrigerator – is there a gap there? More than likely there is. Right now, it is probably just a gap. But that gap is actually the perfect location for a sliding shelf! 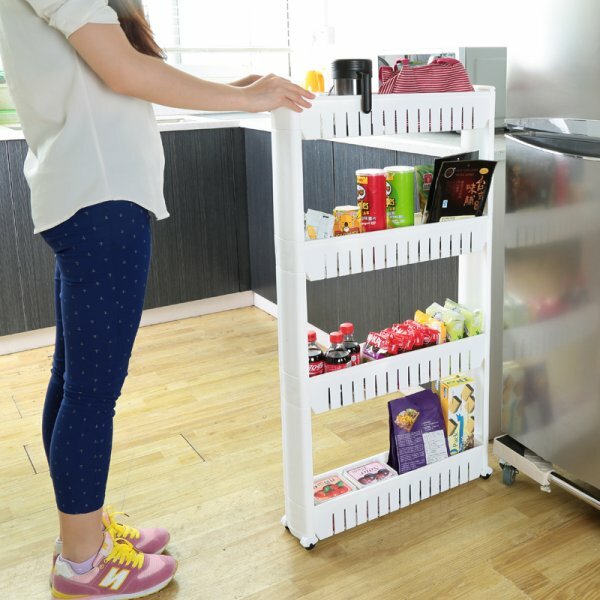 Placing a thin sliding shelf there will allow you to store tons of kitchen and pantry items like spices, snacks, and other cooking ingredients. Having a small kitchen can be one of the hardest issues to tackle, and if you are tired of things piling up on your counter, this is a perfect solution. Often times smaller homes don’t have pantries, so this is a real life saver for those smaller items. Make sure you measure your gap so you know how much room you have to work with, but more than likely you’ll be able to find a shelf that was made for this very space. Again, this is space that cannot be used for anything else – it is dead space. Making use of it gives you storage that you didn’t have before, but that isn’t taking up precious living space. That’s a win win! Do you have any other weird gaps in your house? Place a sliding shelf there as well! These are great storage solutions that don’t take up a lot of space but give you a surprising amount of room to store items that you may not currently have a place for. You more than likely have some type of table situation in your living room. 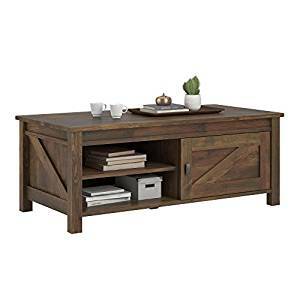 Perhaps you have a coffee table and an end table, or two end tables and an ottoman. No matter what the combination is, the truth is that these items can easily be serving double duty. 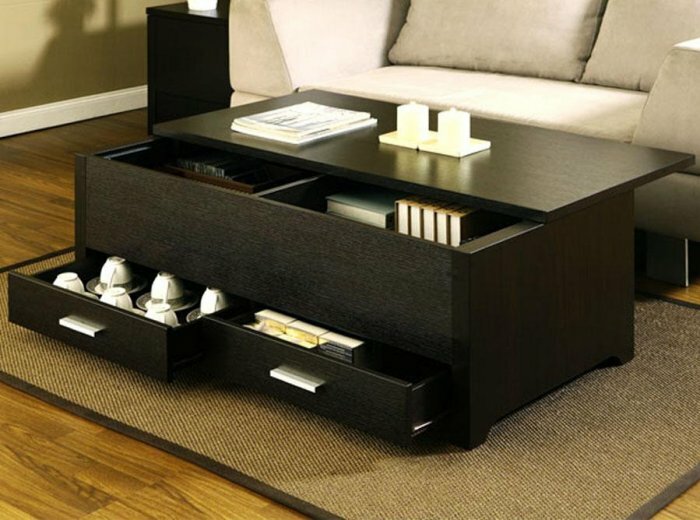 A table doesn’t just have to be a table, it can be a storage container as well! This is especially true for ottomans where there is less of a potential design element getting in the way. If you aren’t incredibly attached to your existing pieces, or if you figure it is time to upgrade them anyways, be sure to make smart decisions that give you storage options. Plenty of coffee tables open up to reveal a bunch of storage inside of them. Ottomans can easily lift open and are a perfect place to store things like remotes that you don’t want to look at all of the time. Side tables can also be used to store things like coasters, remotes, magazines, or even extra blankets. Do you live in a two story space? This is a common storage trick for people who live in tiny houses, as they almost always have stairs leading up to their bedroom loft area. You know the stairs have to be there, so make use of that space for storage! 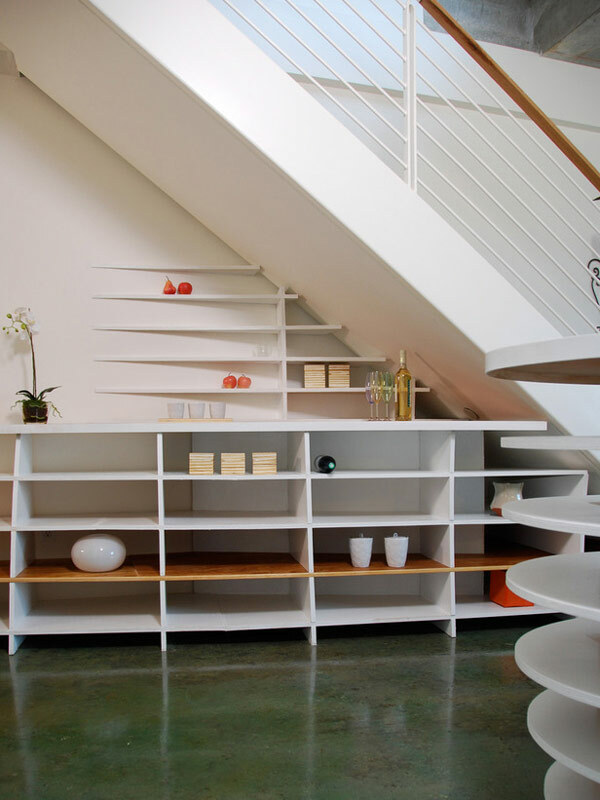 There are an endless number of storage options that can be placed under stairs. Various cubbies and drawers can be fit under stairs to give you an incredible extra amount of storage. What you are able to do will depend on the specific design of your house, but there is almost always an option available. Some houses even have their stairs lift up, and each stair is its own cubby storage! Last but not least, a great way to make use of existing space in your home is to buy door organizers that can hang on the back of bedroom doors, closet doors, and bathroom doors. 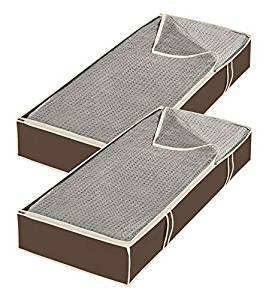 These organizers don’t take up a ton of space, but give you a lot more storage for holding shoes, clothing, towels, jewelry, and a whole lot more. 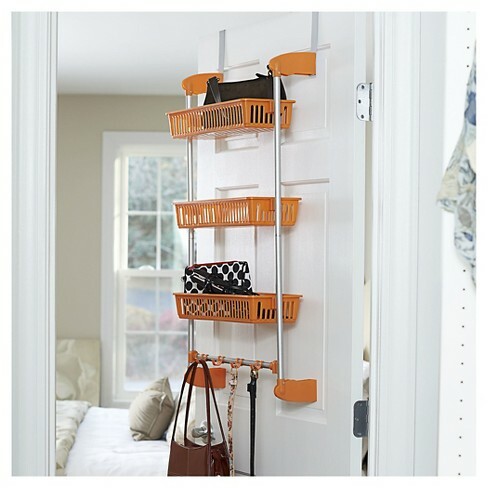 Depending on what you need storage for, you can find the best door organizer for you. 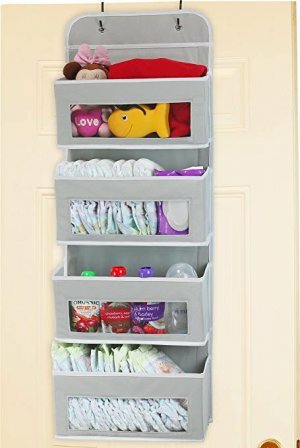 Pretty much any door in your house can hold a door organizer (with the one exception being the front door- keep that nice and free) so you can keep adding them as needed if you find you need more space.